What a fun way to complete bath time! 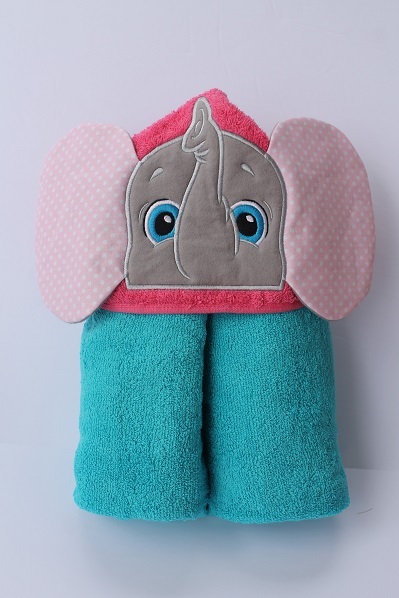 Custom made character hooded bath towels are a sure way to put a smile on your little one's face. With a bright yellow hood and a popping pink body, this Pretty Peacock shows all of her magnificent colors! big pink ears, this little Elephant is sure to stand out.